Roselyn Saunders has lived in Denver for over the past 40 years. She is originally from Minot, ND. She earned a Bachelor’s in Interior Design & Business Management and Masters in Business Administration from Regis University and spent almost a decade as an Administrator for Mechanical Engineering at Lockheed Martin. Even though Roselyn has an extensive background in business management, her real passion is in community volunteering. Above video: Roselyn Saunders sharing her compelling story at the 2012 Invisible Disabilities Association Honor Awards Banquet. Roselyn is committed to many causes and is a board member on the following organizations: Colorado Neurology Institute, Central City Opera, Cleo Parker Robinson Dance, Lupus Foundation, Colorado Ballet, Children’s Diabetes, Institute for Children’s Disorders, Ocean Journey Twentieth Century League, Colorado Council National Day of Prayer and Colorado Uplift. Roselyn’s community involvement is extensive. The following are a few of the events she has chaired or participated as a committee member: “Fete de Fleurs” – Denver Botanic Gardens, Brass Ring Luncheon – Children’s Diabetes, Huntington Disease’s “Celebration of Hope” Gala, Colorado Neurological Gala, Dancing for the Cause – Kids Galas, Samaritan Institute Tribute Gala honoring Betty Ford, Denver Center Performing Arts Events, Women’s Voices Fund, Founders Day for University of Denver, Newman Performing Arts Center Fundraising Council, Regis Council, Colorado Women’s Foundation PEP Club, Denver Art Museum, Volunteers of America, Goodwill Gala, and Children of Mt. Saint Vincent’s Gala. In addition, Roselyn has hosted many Golf Tournaments, Brunches, Luncheons and other charitable events. Because of Roselyn’s involvement and passion in helping great organizations, she has earned numerous awards including the following: Arapahoe House -Pillars of the Community, The Kempe Foundation Award, Colorado Ballet Community Honoree, Lupus Foundation Humanitarian Award and Colorado Uplift Honoree. 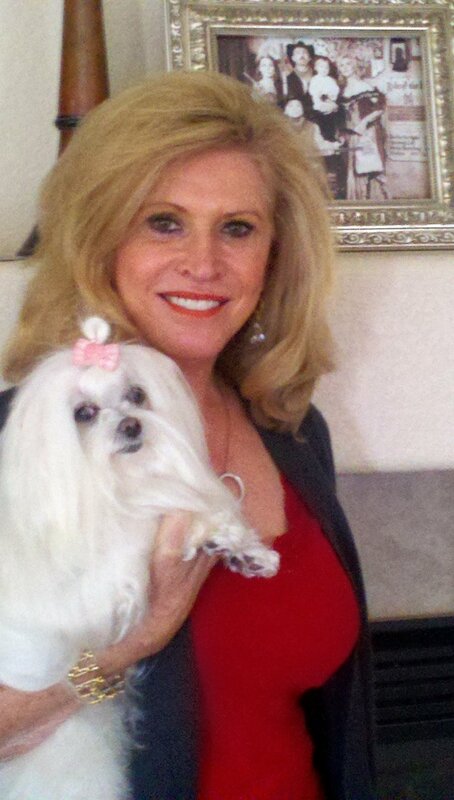 Roselyn’s constant companion is her sweet Maltese, Cassie. She is an avid golfer, loves playing Bridge, traveling to romantic places, participating in a book club and spending time with her wonderful friends and family. The Invisible Disabilities Association is privileged to have Roselyn Saunders as the Honorary Chair of our 5th Annual Honor Awards Banquet. Roselyn understands very well how living daily with illness can impact one’s life and relationships. She is a true inspiration and we are thrilled for her to play such a vital part in this great event.